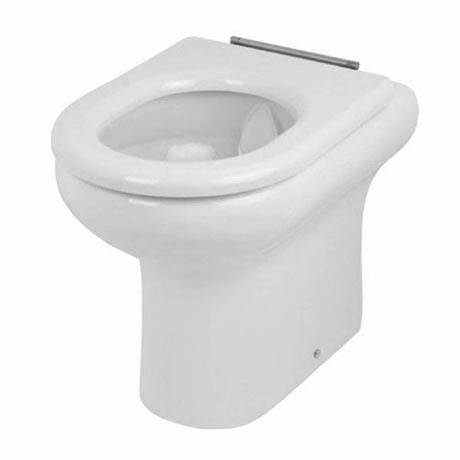 This Compact 425mm high back to wall toilet is designed and manufactured by leading brand RAK Ceramics, this toilet is part of their special needs range and is designed to be used in bathrooms were assistance may be required. The back to wall pan features the latest innovation and cutting edge technology in bathroom design, Rak Rimless. RAK Rimless delivers the ultimate level of hygiene control in your bathroom, there is no hidden rim where germs, bacteria and limescale can build up. The entire surface of the toilet can be easily cleaned producing a more hygienic result. Please note: Seat and concealed cistern not included.